Craft coffee may have been getting all the attention in LA over the last few years, but now tea -- its chiller caffeinated brother -- is also picking up some steam. Artisanal tea bars and shops are popping up all over town, where you can sip on cups that are nitro-chilled or brewed perfectly in state-of-the-art machines. 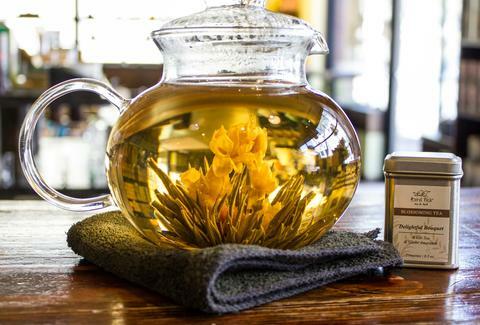 Here’s where to get your next-level tea fix. American Tea Room is like if Willy Wonka & the Chocolate Factory and Minority Report had a baby. At this sleek and high-tech tea joint, you can shop for over 200 varieties of special blends and rare teas (they even have an aged 1992 vintage fermented pu-erh) -- and learn more about them through a massive interactive touch screen on the wall. They also use sophisticated BKON machines that will brew a perfect cup of tea in less than a minute. And then there are the unique drinks you can get there, like boozy tea-laced cocktails; the Green Tea Tereré (a refreshing iced citrus and green-and-white tea) and a salty Himalayan Butter Tea, which tastes like a better Bulletproof Coffee. This newcomer to the boba scene is co-owned by the guys behind streetwear brand Crooks & Castles, which explains why it’s so stylish inside. Partner Phong Trinh helms the menu with punched-up versions of mainstays you might find in the SGV; like a tea whisperer, Trinh encourages customers to come to the counter to talk to him about their cravings and mood so he can make customized drinks for them. Boba fans will find that their tea here is cold brewed -- a process that cuts the acidity -- with familiar flavors like taro and lychee, and extra fixin's like honey boba and grass jelly. But the most fun comes from Trinh’s specialty beverages, like his horchata milk tea, chamango, and a very Instagrammable lavender tea with fresh squeezed orange and yuzu. Nitro coffee is all the rage right now, and Rubies+Diamonds is experimenting with tea in the same way. At this cafe owned by Jean Shim (former co-owner of LAMILL), you can get creamy and satiny smooth nitro-chilled teas, with unique flavor concoctions like ginger ale green tea, turmeric tea, and creamy matcha. If you can’t make up your mind, they also offer up a flight of their nitro teas for sampling just like at a brewery. R+D also makes cups of tea using BKON craft brewers that are meant infuse the beverages with more flavor from the leaves. 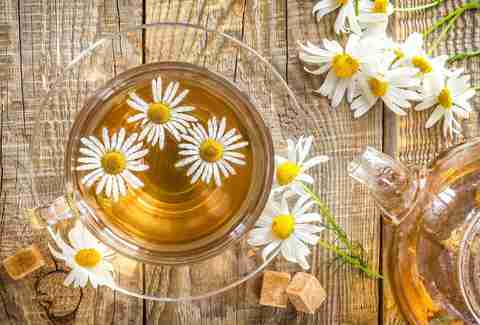 And if you’re a newbie at all this, their tea menu makes the fermented leaves much more accessible, with detailed descriptions of their holistic properties. Shuhari Matcha Café is a green-tea lover’s paradise. This is the kind of place where the tea-ristas are meticulous with the way they brew each cup, paying special attention to the temperature they set and how long they steep the leaves. Their teas are well-curated and sourced straight from tea fields in Japan, and you can purchase bags of high-quality loose leaf if you like sipping in the privacy of your own home. 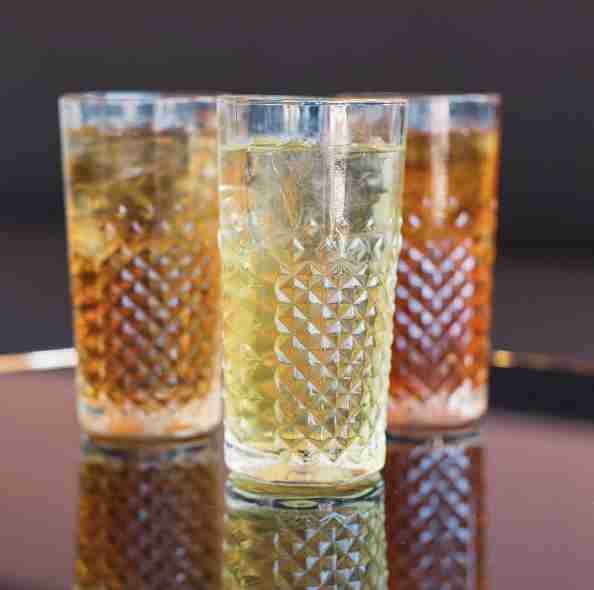 They also offer over 40 green-tea beverages on the bar menu, some of which are straightforward, and others are more uncommon, like their effervescent matcha sparklers, which are artisanal tea sodas that are made to order in a cocktail shaker. 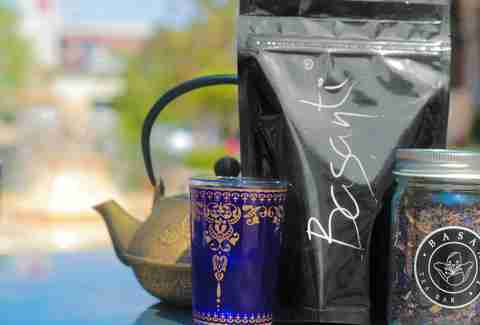 The first American branch of Mexican tea bar chain Basanti Tea Boutique may have launched in Beverly Hills, but that doesn’t mean it’s super-bougie: actually, it’s more along the lines of a relaxed Teavana. The mostly organic, high-quality teas here are sourced from all around the world, with varieties like oolong, green, and special blends. You can get up close and personal with the leaves, and sniff from the sampling of tea-filled canisters on the counter as if you’re sticking your nose in a glass of fine wine. For a more Starbucks-esque experience, they also offer mixed drinks like a matcha tea latte, and a Dragon Cookie -- a blended, Frappuccino-like beverage but made with black tea and chocolate chip cookies. In the middle of the Original Farmers Market, there’s a tiny tea stall stacked with rows and rows of metal canisters and glass jars full of loose-leaf teas that come all the way from India to Africa. The options are definitely overwhelming, but the tea masters behind the counter are usually friendly and offer great suggestions. 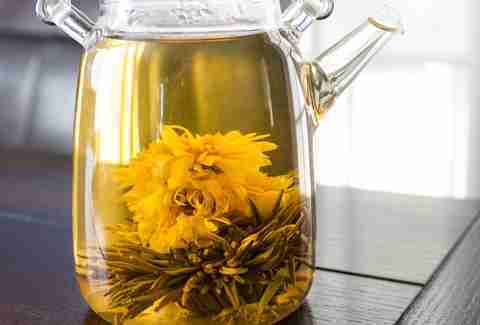 Customers can also order some varieties of iced teas and boba drinks, but if you’re a purist, grab a bag or two and steep it at home for yourself. Chado Tea Room has been in the artisanal tea game for a long time now -- and for good reason. The tried-and-true afternoon tea spot, known for its three-tiered sets complete with finger sandwiches and scones, offers diners a bevy of leafy options. Browsing through their tea menu is seriously like reading a dictionary. The cool part is that guests get a whole tea pot to themselves with the sets, and can purchase bags of loose leaf teas to take home with them. Chado also sells enough tea accessories that you can host your own British afternoon tea at home. Pinkies up! Ten Ren is so OG that they were selling artisanal teas way before Chinatown got hip. It’s LA’s go-to spot to pick up a canister of high-grade Chinese leaves, from oolong to green and pu-erh. If you feel like a fish out of water here, the folks behind the counter are very helpful with suggestions. 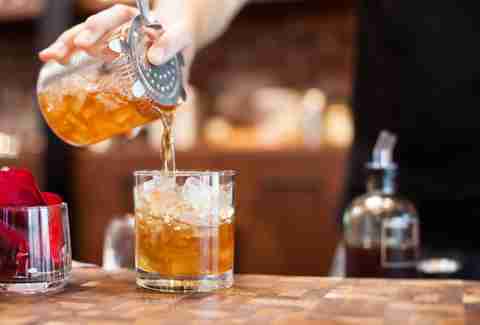 And while you’re here, you can quench your thirst with a boba milk tea at the bar, or get a taste of teas that are paired with Asian flavors like longan and kumquat. This über minimalist cafe has over 20 different kinds of teas -- from rooibos to black and wellness ones -- and they come from the likes of high-end tea purveyors like Art of Tea and TeaSource. You can order a cup brewed by the folks here or take a bag of some loose leaf teas with you for your own very zen moments. Our favorite is the fragrant green tea that comes with pieces of coconut. 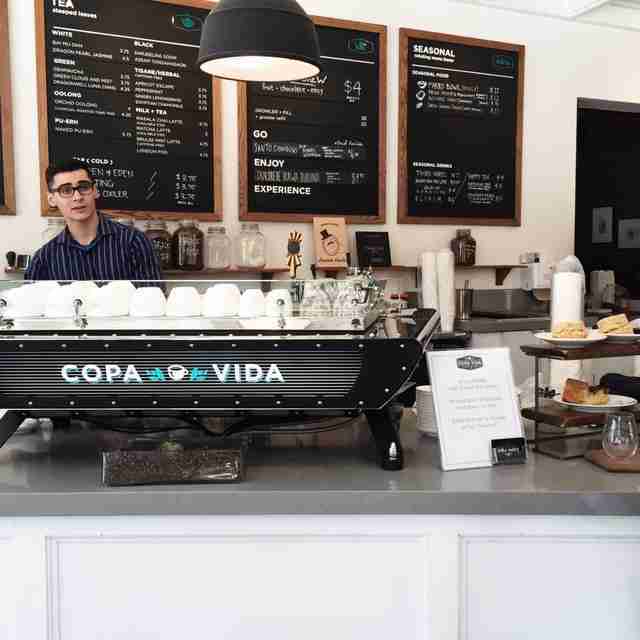 Copa Vida is the cafe to go to in Pasadena, and it’s because these guys are serious about their caffeine. Their team is comprised of folks who have won barista awards and are certified tea experts. Most of their unique blends, which come from California tea companies like Art of Tea, Sungarden Tea, and Red Blossom Tea Company, are steeped in house. But they do offer a few options of loose leaf teas that you can buy, like their jade-tinged Green Cloud and Mist, organic dragon pearl jasmine, and ginger lemongrass. Getting a drink at Bird Pick Tea & Herb is like getting a non-boozy version of a hand-crafted cocktail at a bar. Tea-centric beverages are made with muddled fruit and purees, like the Purple Drink, a refreshing hibiscus tea with lychee puree. Presentation is key here: some of the drinks come out in a beautiful ombre or paired with slices of fruit. They also carry a serious list of loose leaf teas. And if you want to sample the goods before you purchase, you can always order a whole pot of tea to yourself. Jean Trinh likes to live dangerously and visit tea bars in the Upside Down. Follow her on Twitter and Instagram.